Democrats were not expected to pick up the seat in Republican-leaning Staten Island and south Brooklyn. 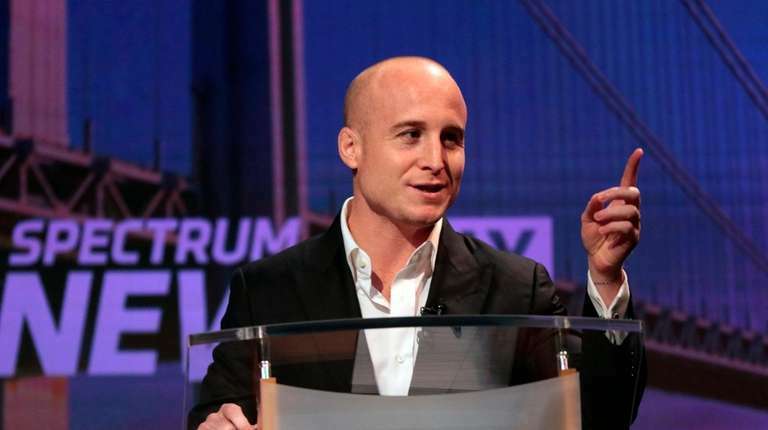 Democratic challenger Max Rose bested Republican Rep. Dan Donovan in the red-leaning 11th House district covering Staten Island and a slice of southern Brooklyn, according to The Associated Press. In a surprise pickup for Democrats, Rose, an Army veteran who fought in Afghanistan and still serves in the National Guard, narrowly defeated Donovan in a district that voted for President Donald Trump by more than 10 percentage points. During a fiery victory speech, Rose said his team accomplished what “others said was impossible” and pledged to immediately “get to work” on behalf of his constituents. Donovan, the former Staten Island District Attorney endorsed by Trump, was the only Republican member of the New York City congressional delegation. Rose worked as the chief of staff at Brightpoint Health, a nonprofit health organization, before launching his uphill campaign. Rose, who has been awarded a Bronze Star and Purple Heart, is a former aide to late Brooklyn District Attorney Ken Thompson. He ran on a platform highlighting infrastructure, gun reform, health care, taxes, education and the opioid crisis. Donovan was first elected to office in a special election in 2015, when he replaced former Rep. Michael Grimm. Donovan was one of 13 House Republicans who voted against their party’s controversial tax bill last year. Donovan also voted against GOP-backed legislation to repeal Obamacare in 2017. Cuomo wins third term as New York's governorCuomo's win means another term for Lt. Gov. Kathy Hochul as well. Letitia James becomes NY's 1st black attorney generalJames' victory opens the door for a special election for NYC public advocate. Meet the 7 new state senators from NYCJulia Salazar, Jessica Ramos and John Liu will be among the new faces in Albany.